The city is a living system, with many AI-controlled factions vying for control and conducting their own nefarious business. Choose to collaborate or betray, rob banks, assasinate political leaders or establish a delicate diplomatic accord: it's up to you. Investigate the mysterious force which is making incursions into the city while trying to establish your own power base in this complex and treacherous futuristic world. Follow the extensive story or abandon it to forge your own path: it's up to you. You'll meet factions like the financial manipulators Diamond Brothers or the hacker collective GUEST as you navigate the political landscape. 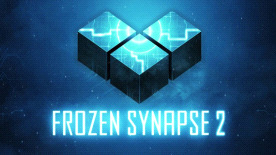 Frozen Synapse 2 features classic multiplayer modes from the original game as well as new ways to outwit your opponents, like the thrilling instant action of One Turn mode: commit your plan and see how it plays out against a range of oppositions from players all around the world. And of course, there's a brand new soundtrack from nervous_testpilot!